Get ready for President’s Day. With it big opportunities pop-up for retailers! Aside from being a federal holiday, many retailers use this time to clear their old inventory with sales. 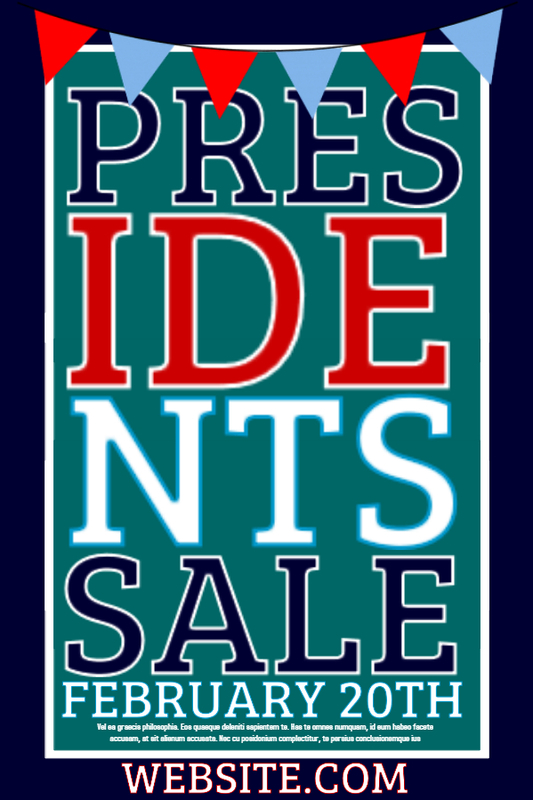 If you’ve never held a President’s Day sale in the past, there’s no need to lay low. Use this chance to your advantage! Luckily for you, creating visual content to spread word is super easy. With PosterMyWall’s help, you can customize President’s Day poster templates easily with our poster maker. Click on any of the templates below to start customizing right away! We also offer flyer, banner and social media sizes. All you have to do is resize your template (for free) inside the poster maker.